The Personal Injury & Wrongful Death attorneys at KALIS, KLEIMAN & WOLFE have been helping South Florida victims seek justice for more than 20 years. We work with responsible parties to obtain a fair settlement, and when necessary, we prepare to go to trial. 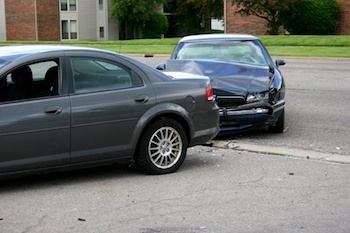 An injury victim has the right to file personal injury claim for damages. The victim may be eligible for financial compensation which can include lost wages/income, current and future projected medical bills, and pain and suffering. In some cases, a spouse, a child or a parent may file a separate claim for loss of consortium. A loss of consortium can include things like loss of intimacy, taking on new or more responsibilities in the home, or with day care, or taking time off from work to care for the injured loved one. Our Florida trial attorneys handle all types of personal injury cases including automobile accidents, trucking accidents, and slip and falls. We are able to handle catastrophic injury claims resulting in severe brain injuries, spinal cord injuries or burns, and wrongful death claims. Personal injuries can affect the injured, their loved ones and caregivers. Personal Injuries are often devastating both emotionally (quality of life) and financially (loss of income and medical expenses). Treatments can include on-going medication, physical therapy and rehabilitation treatments, future surgeries and treatment for PTSD and depression. We strive to make sure that current and future damages are accurately predicted and provided. Medical Malpractice: (Medication Errors, Wrong Surgery Site, Misdiagnosis or Failure to Diagnose, Surgical Instruments Left in Patient, Defective Equipment and Infections. Personal injury and wrongful death cases can be complex, difficult to prove and can involve multiple parties (ex. large corporation, hospital, doctor, dentist, and even your own insurance company). It is important to hire an experienced and knowledgeable attorney. We know the courtroom and we have obtained numerous verdicts and settlements for our clients. If you are facing a serious injury due to the actions or negligence of others, contact trial attorney Tami Wolfe online or callher at (954) 791-0477 for a FREE consultation.